Heat oven to 350°F. Spray 36 regular-size muffin cups with cooking spray. In large bowl, mix cookie mix, 1 cup graham cracker crumbs, 3/4 cup softened butter and egg with spoon until soft dough forms. 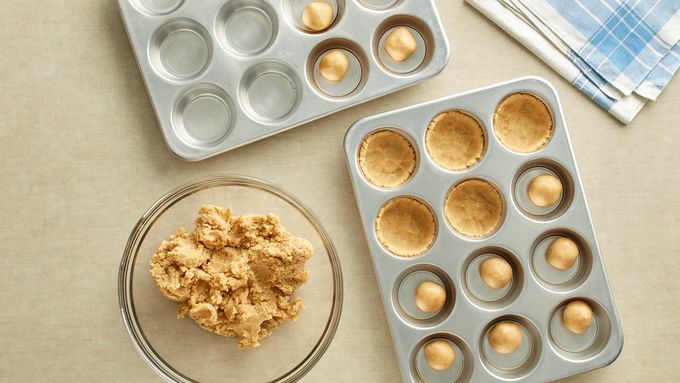 Press rounded tablespoonfuls dough evenly in bottom of each muffin cup and halfway up sides. Bake 9 to 11 minutes or until golden brown. Remove from oven to cooling rack. 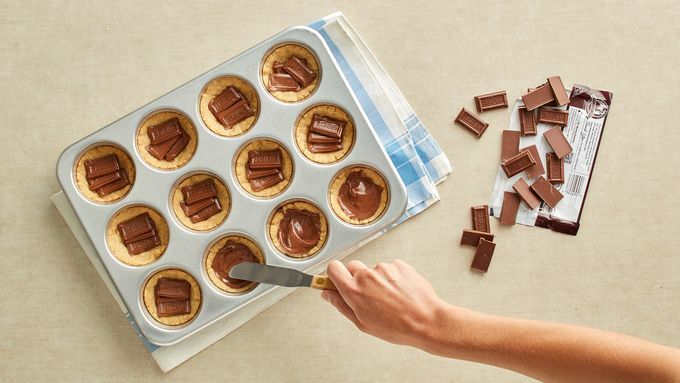 Immediately place 3 individual chocolate rectangles in each cookie cup. Let cool 10 minutes in muffin cups. Using knife, spread melted chocolate in each cup. Remove cookie cups from muffin cups to cooling rack. Cool completely, about 30 minutes. When ready to serve, in small bowl, beat Topping ingredients with spoon until smooth. Put topping in medium resealable food-storage plastic bag. 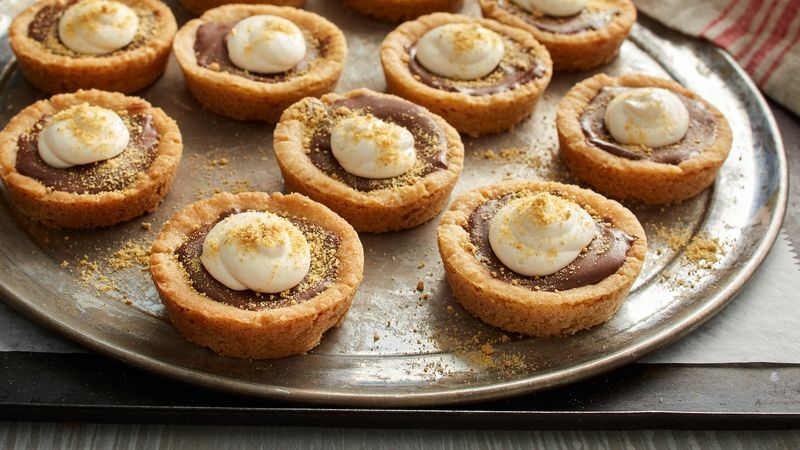 Cut off one bottom corner; squeeze small dollop of topping on top of each cookie cup. 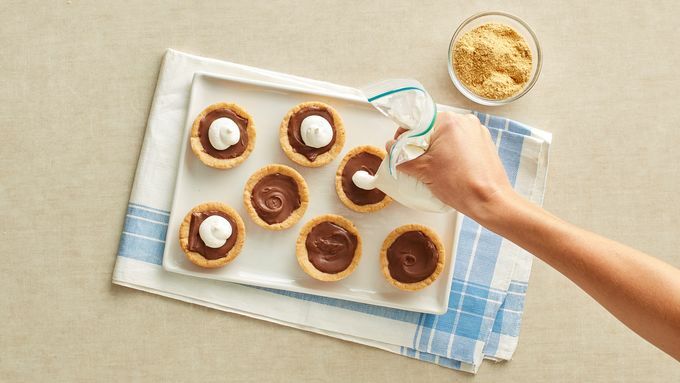 Sprinkle 1 tablespoon graham cracker crumbs evenly over cookie cups. Don’t have enough muffin pans? Refrigerate the rest of the dough while baking the first batch. Cool pan about 10 minutes, then bake the rest of the dough, adding 1 to 2 minutes to bake time. Try Hershey’s™ Special Dark™ chocolate candy bars in place of milk chocolate for decadent s'mores.